In 1980 the partners of Madera Concepts were assembled as part of an elite team to build the exquisite Burled Walnut dashboards and interior trim components for Clenet Coachworks' "Luxury Neo-Classic" Series I Roadster. They were chosen for their expertise in woodworking, finishing, design and management and underwent an intense apprenticeship under two of Europe's automotive woodworking masters. wooden facia's and trim. His son, our mentor ( pictured ), grew up " at the bench"
and after directing the firm for many years, took over upon his father's death. trim for European sport and luxury car manufacturers. yearning for a challenge, our mentor sold his firm and took up an offer from one of America's most prestigious " Neo-Classic" automobile manufacturers..to establish a facility to produce woodwork for them, here in the United States. 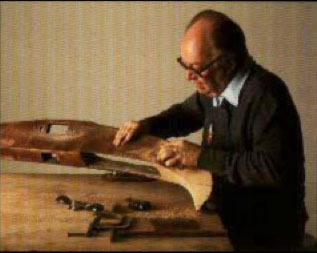 For a year and half he and his chief veneering expert trained and directed Messieurs, Gonzales and Wayco in the intricacies of producing the highest quality automotive woodwork in the world. came the birth of Madera Concepts and the tradition continues. Nearing retirement, our mentor " joined the team" shortly after our founding, acting as our internal consultant and heading our repair, reveneering and refinishing department. Founded in early 1982, Madera Concepts continues to offer the most prestigious automotive woodwork repair, reveneering, and refinishing, available on this continent. Our commitment to excellence has proved our reputation worthy and our products and services are sought by discerning automotive enthusiasts everywhere. Our goal has been to provide the highest quality automotive woodwork restoration coupled with services that are second to none. Specializing in these areas alone has established us as the premiere single source supplier in automotive woodwork and automotive wood restoration. 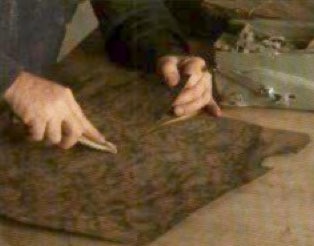 automotive woodwork, our 100-point Concours quality craftsmanship is unparalleled. Our OEM replacement selection is the broadest in the world. for the " wood in automobiles " craze that lives on today. As pioneers of this industry in North America, we had no idea what a tremendous influence we would have. The impact Madera Concepts has made in the automotive world is becoming more evident every day! When we first began producing exotic automotive woodwork in 1982, Rolls Royce, Mercedes Benz and Jaguar were the only automobile manufacturers offering luxury vehicles with similar appointments. Today however, nearly every automobile manufacturer produces vehicles with some sort of wood ( either real or imitation )…a fine tribute to the influence of Madera Concepts. automotive wood manufacturing, we proudly offer you our fine products and services. We welcome the opportunity to provide you or your customers with the warmth and luxury of exotic automotive woodwork available only from Madera Concepts.